Lightweight. Matte finish. Waterproof zipper. This tote backpack ticks all our boxes. There's an inside pocket, for easy access to your keys. And its size makes long days out of the house more manageable. Influenced by their Scandinavian heritage, Rains designs with an uncompromising approach to simplicity, producing beautiful, waterproof lifestyle pieces. That's why we've collaborated with them on this piece. 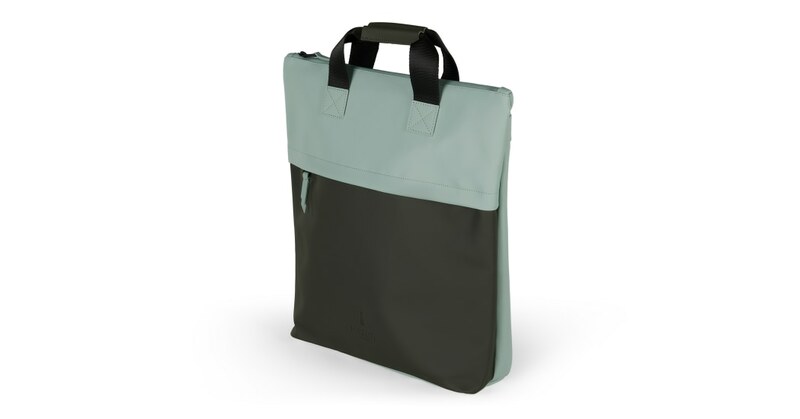 One main compartment, padded 15" laptop sleeve, front pocket with zipper and inner zip pocket.